Configure the device "Speed Up settings" as the image below, in the Device Options, for the best results and no-lag wireless connection. To enable the automatic pairing check the Device Options in the Gtuner Instructions. This option is enabled by default from factory settings. This step is need for the Titan One register the Bluetooth address of your Bluetooth dongle. In this step the Titan One will update your controller with the Bluetooth address of your Bluetooth dongle. 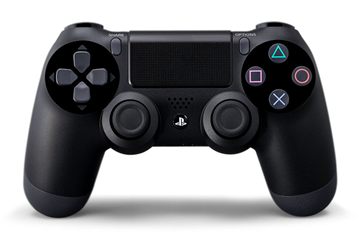 Enable Dualshock 4 Bluetooth searching in Device Options. In order to change this option the Titan One device needs to be connected to your computer by the PCPROC side port, through a USB cable. The LED Bar on the controller should start blinking white, meaning the controller is trying to connect with Titan One device. Wait until the LED Bar stay lighted blue. If the controller turn off hold down the buttons SHARE and PS again. Disable Dualshock 4 Bluetooth searching to speed up subsequent Dualshock 4 wireless syncing (after the controller be paired). The LED Bar on the controller should start blinking white, meaning the controller is tying to connect with Titan One device. Your Dualshock 4 controller is connected when the display shows 0 with no dot at the bottom. To speed up the Dualshock 4 syncing uncheck the option "Enable Dualshock4/Wiimote Bluetooth searching" in Device Options.